Dil Lagi has become one of the most trending drama serial these days, the story of Anmol and Mohid keeps on taking new turns, The confusion of Anmol towards Mohid is just the fire we need. The intriguing questions towards Mohid from the maid made it certain that Anmol is just tired of hating Mohid, but yet she doesn’t want to change her perspective towards him. What is Anmol afraid of? Is she afraid of being proven wrong? Is she scared of finding out that Mohid wasn’t such a bad person after all? Her conversation with her sister suggested something absolutely different. For some reason Anmol wants to hold on to the first impression she had of Mohid, it’s really hard to figure out what exactly runs through her head. Anmolâ€™s conversation with the nurse and Dastagirâ€™s curiosity to find out what was going on might lead to another big misunderstanding between Mohid and Anmol. Seeing that Anmol is highly bothered by something, all Mohid wants to is just protect her. On the other hand Anmol’s sister in law is just worried about her husband and her baby, will Anmil be able to help her out in any possible way? Had Anmol not found Fazal and talked to the doctor, things would have been very different. Mehwish Hayat owns her character and don’t we all just love her? Just when Anmol was certain that Mohid is ‘spying’ on her, Dastagir proves her right! Even though Mohid asked Dastagir that he didnâ€™t want him to follow Anmol but Dastagir being super eager to unravel Mohidâ€™s problems that he continues to ‘fix’ them. Anmol keeps you guessing â€“ one minute it looks like she might soften up but the next minute she is seen planning an escape! Currently all Mohid wants is to see Anmol happy, he doesn’t care about winning her over. Do you think Anmol and Mohid will ever be together? How is Anmol ever going find the happiness for her sister in law? Do you really want to see how to life of Anmol and Mohid folds into new chapter? 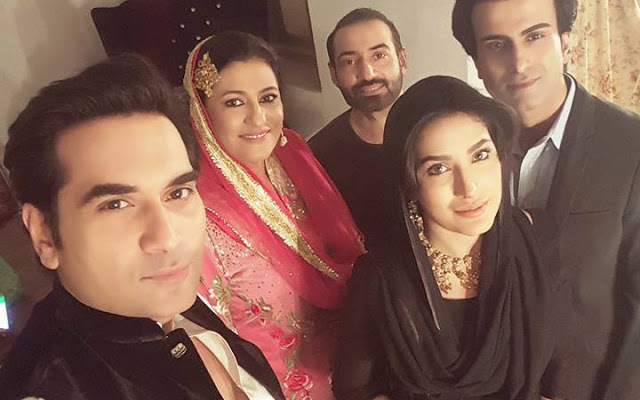 If you want to find out all the answers don’t forget to watch Dil Lagi only on ARY Digital on Saturday at 8:00 pm.